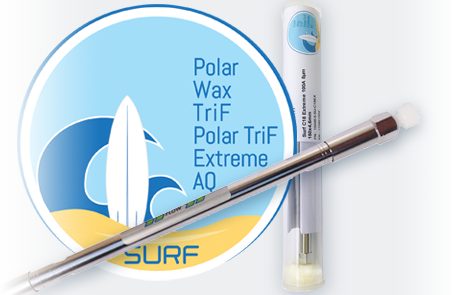 Our complete Surf range of high quality columns for all chromatographic separations is available. In order to better serve its customers, imChem moved on July 6, 2018 in new, more spacious and better adapted premises. 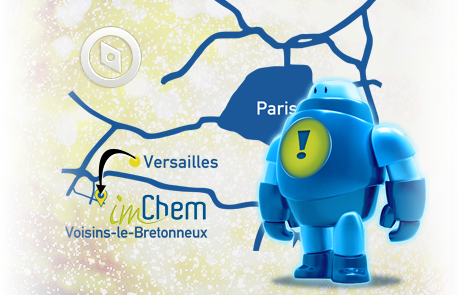 Find us on Saint Quentin en Yvelines, 164 Av. Joseph Kessel (Bldg #7) - 78960 - Voisins le Bretonneux. « graphein » means « to write». All spare parts, lamps and reagents. For your consumables and your chromatograph's maintenance...imChem. 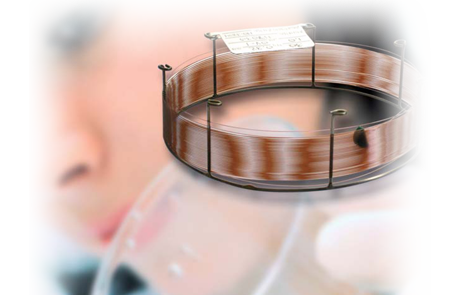 Large range of capillary columns, leader products and our own imChem line. imChem has been distributing the leading brands since 2004. 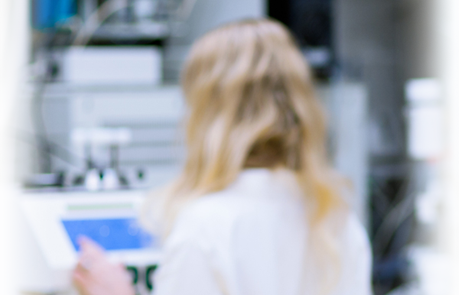 But did you know that we manufacture our own range of products HPLC Surf ? Sorbents used in liquid chromatography vary widely in their characteristics, especially in terms of hydrophobicity, of selectivity, and of polarity, and therefore have very different chromatographic behaviour. Consequently, we offer a wide range of columns in order to supply you with the product corresponding to your specific needs. Regarding gas chromatography, we offer capillary and other packed columns made of stainless steel or glass, in partnership with Ohio Valley Specialty. imChem offers you a complete range of membrane and syringe filters, with or without certificates. Available in various materials, Nylon, PTFE, PVDF,CA, RC, PP, PES, MCE, GMF, they allow to answer all the applications of filtration of samples or mobile phases. Our range of filters presents an excellent value for money. Do not hesitate to send us an enquiry if you have any question. 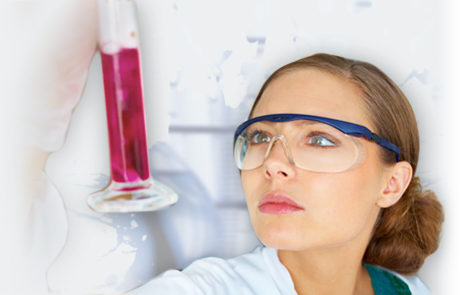 With the help of Nacalai Tesque, the Japanese leader in the field of natural sciences we are extending our range and offering you chemical and biological reagents. 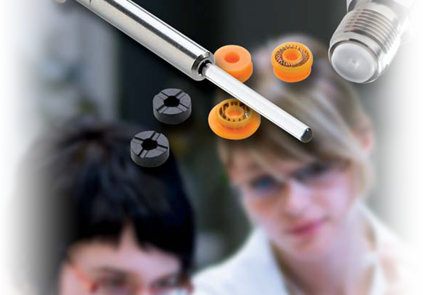 For the maintenance of your HPLC systems, we propose most common spare parts, seals, plungers...as well as a complete range of deuterium lamps for your UV detectors. Our range of lamps also includes replacement lamps for spectrophotometers and hallow cathod lamps for atomic absorption. Export is our core activity. Our international expertise, combined with our proximity to the Parisian Airports, allows us to deliver in record time, wherever the final destination. 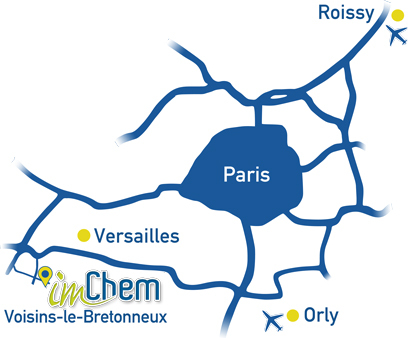 imChem moves on July 6, 2018 in new, more spacious and better adapted premises on St Quentin en Yvelines.